Holocaust survivor Charlotte Knobloch has condemned Labour for having “one of Europe’s most blatant problem cases of political antisemitism”. 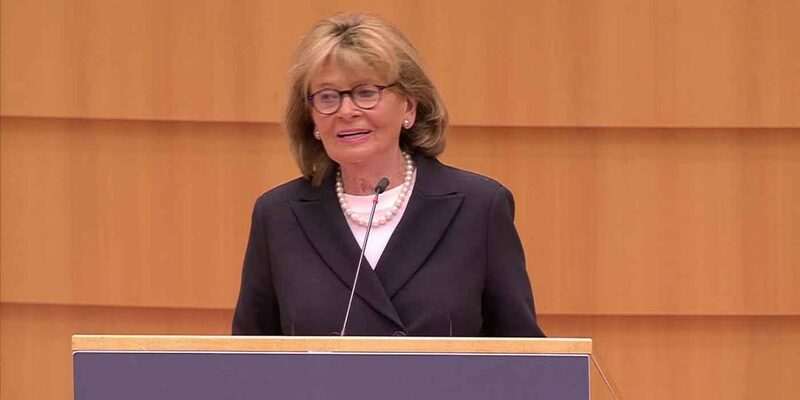 Ms Knobloch, 86, was speaking at a Holocaust memorial event in the European Parliament last week when she made the comments. She said: “We can see how swiftly antisemitism has spread through contemporary European politics. Knobloch also said it was “one of the most drastic examples” of the speed with which antisemitism could spread and stated it was worrying that Jews were once again feeling threatened in Europe. Another political party that drew criticism from the Holocaust survivor was Germany’s AfD party, whom she blasted last week as promoting politics based on “hatred and exclusion”. AfD members left in protest during her speech at the European Parliament. Charlotte Knobloch survived the Holocaust after being adopted by her family’s former housekeeper and lost family members in the Nazi death camps.